Welcome to Jean’s Garden! This blog provides the reflections of an amateur gardener on her garden and her gardening experiences. 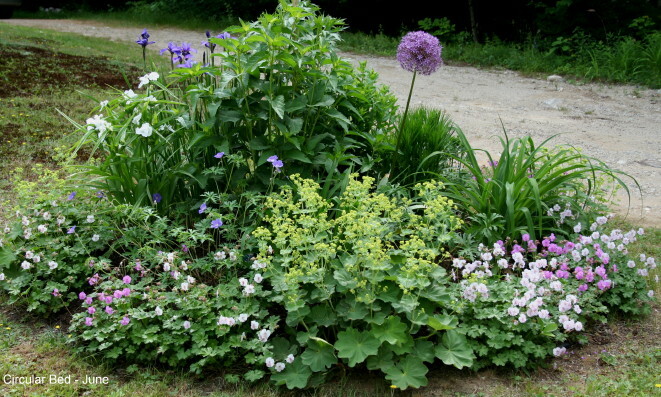 I am a flower gardener who grows mostly perennials, and I do most of my gardening in East Poland, Maine — just a few miles north of the more famous Poland Spring. My work requires that I spend some of my time in Gettysburg, Pennsylvania, and I also have a small garden there (which will occasionally be the subject of this blog). For the most part, though, I will be focusing on my Maine garden. Since my house and garden are tucked away in the woods at the end of a dirt road, very few other people see it; gardening is something I do for myself and my own pleasure. The Iris Bed – This is a collection of siberian irises planted in a semi-circular bed under a bow window on the front of the house. The Bedroom Border – This planting area runs along the front of the house at the west end, under the bedroom window. Although it has been re-designed, re-dug, and replanted on a couple of different occasions, this has never been a very successful flower bed; it is scheduled for demolition in the next couple of years to make way for a new addition on the house. 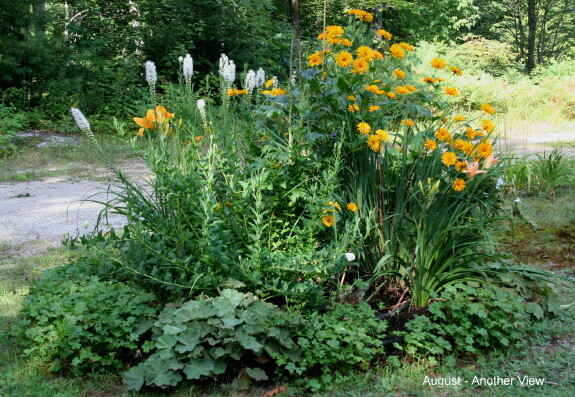 Blue and Yellow Border – This is across the back walkway from the deck border and borders the woods. It is pictured in the header for the blog; and, as you can see, it is aptly named. The Fence Border – This is the newest addition to my garden and is still a work in progress. Last year, I added a section of fence to screen the clothesline from the deck. This is a semi-elliptical planting that is going on the deck side of the fence. 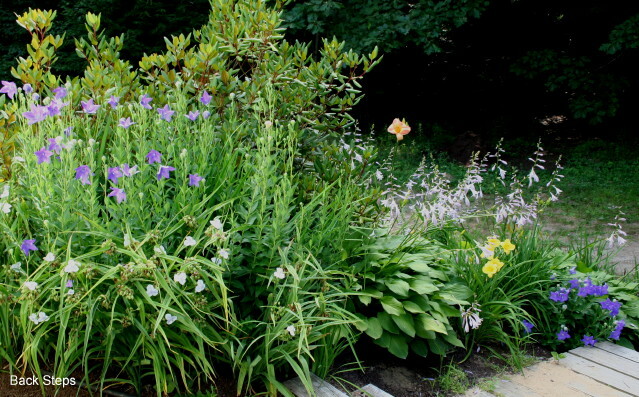 I really love your blog — I too am fond of daylilies but have not experimented with varieties as you have. I also have a resident woodchuck — not sure what he’s eating, although one green tomato has disappeared and there has been a lot of digging (which I attributed to squirrels and have ended with mothballs) in my potted tomato, spinach and basil. This summer has been a glorious one for flowers — lots of rain in Gettysburg!